Adeline Ginn, Founder of Women in Rail and General Counsel at Angel Trains speaks to Global Railway Review about gender inequality in the work place and what the rail sector is and should be doing to combat this. In March, the Commons Business Committee called for women to make up half of all new senior and executive management appointments by 2020. Currently, just seven firms in the FTSE 100 have female chief executives. The benefit of a more gender balanced workforce has been proved time and time again. Studies have shown that companies with more women on their boards outperform their rivals with a 42% higher return in sales, 66% higher return on invested capital and 53% higher return on equity. 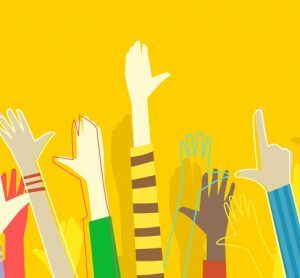 With a more diverse workforce come different perspectives, experiences and skill sets, as well as new ideas and ways of working, all of which ultimately bring about positive change within companies. Our most recent survey looking at diversity in rail found that just 0.6% of women in the industry have progressed to director or executive level – with just under four fifths in non-managerial roles. However, the good news is that there is something we can do to help move this forward. It is the responsibility of organisations within the railway sector to ensure that the women and men working for them are treated equally and here are some practical steps that we could implement to make headway. First is to look into our respective organisations to find out how well gender balanced they are. These statistics can be used as a starting point to identify where the workforce is skewed. It is a stark motivation for any business. Despite rail’s amazing growth, women are still underrepresented both in the industry and, more so, at senior levels. The Department for Transport has actually set a target, specifying that women working in transport should match the number of men by the end of the decade. This is something that must be welcomed and a target that rail should be moving to achieve. Secondly, the gender pay gap can only persist within a culture of secrecy. We should aim to instil a new culture of transparency – something that David Cameron is promoting with a call to every business with 250 or more employees to make their pay data transparent in 2017. It is important to take a view across different seniorities too. 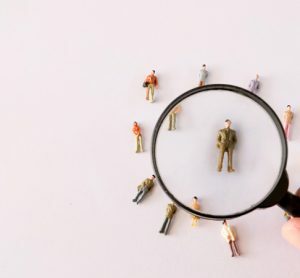 Often gaps across senior positions are less significant, but in entry level roles, differences are often wider. This data can be used to focus our efforts to ensure equal pay. Thirdly, it is well known that certain irrefutable facts, such as breastfeeding and childbirth, obviously impact women’s role in parenting. Many women definitely do want to return to work following maternity leave and just as many men would love to be more involved with hands-on parenting, despite cultural misperceptions around this. We need to implement policies that support parents’ choices, whatever they may be. The UK has recently been described in the International Business Times as having an ‘archaic’ attitude towards flexible working. Although a little harsh in my view, there is some truth in this statement. As a country we are not as open to the idea of flexible work hours as other countries. France, for instance has offered flexible working arrangements since 2000. Today, flexible working is not a nice to have, it is a necessity and we need to accept that the landscape of the family and work dynamic has changed. A recent study by Timewise found that currently 14.1 million people in Britain want flexibility in their working hours, with seven in ten parents wanting flexible working. Our modern day society, with the realities of the school run, is in need of a more fluid routine. We need to ask which roles in our organisations can be flexible? The amount of potential talent businesses could tap in to, both male and female, is huge if flexible working is on offer. Lastly, there are real gender incongruities to overcome. Sometimes it will require empathy and sometimes women will need gender-specific programmes to bring out their best self. Research on leadership reveals that women are less inclined to take risks compared with their male counterparts. They are more hesitant or question their decisions. Companies, therefore, need to grow senior leaders who are confident and bold in their decision-making. They need to encourage calculated risk and innovation through recognition and reward and avoid a culture of blame when initiatives fail or are not as successful as they could have been. It is important for people to know that their successes will be recognised and that they won’t be ostracised or relegated for mistakes. Managers should use opportunities to reflect on actions to help their team to learn and grow. This will inspire confidence and trust. Prioritising the development of female leaders is not just about striving to appear fair and equal – it is about expanding and optimising the limited talent pool in any organisation. With just 0.6% of women in rail being executives, this is especially important. That is why we launched our search for the 20 Rising Stars of Rail, to celebrate the most promising and young female talent in the industry. The results of the survey will be released next month. The 20 winners will be women across the country who are in the early stages (e.g. the first five years) of their careers in the rail sector, have already made an impact on their colleagues and are on track to become the leaders and inspirational women of tomorrow. 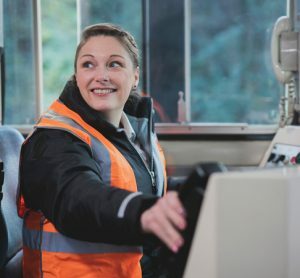 Showcasing and fostering female talent is key to the promotion and attraction of women in the railway industry. 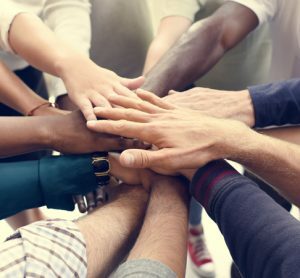 It is about men and women in our sector working together to deliver this important message and bring the positive changes our sector is thriving for. To find out more information about the work of Women in Rail please visit www.womeninrail.org. Recruitment in rail: What are the practical actions that will achieve an inclusive strategy?